(Mastery) How do we see things? What types of light interactions are there? 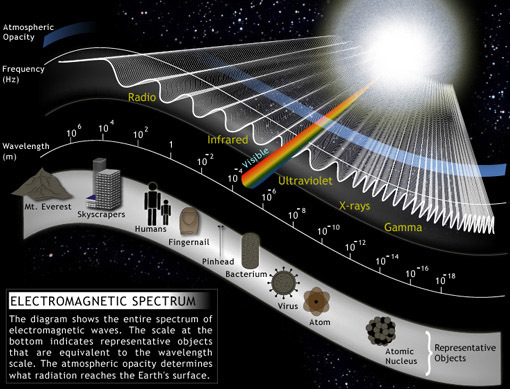 (Understanding) How does light behave in the universe? Take every day before sleeping! 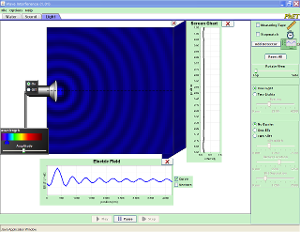 Create a diagram that shows light waves as waves and particles. Show different ways that light is used by humans. 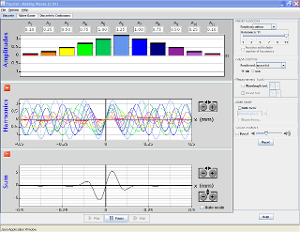 Create a diagram that compares or contrasts different interactions of light waves. 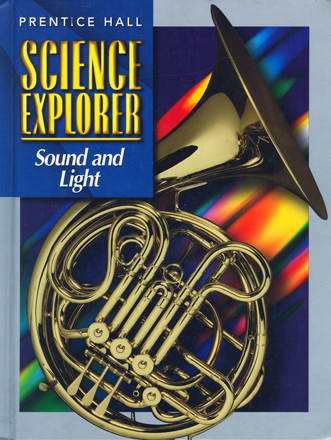 Show how light waves can act in the universe. Make a video or animation of atoms (see options above.) Narrate, subtitle, or text page to show this week's concepts. Create a PowerPoint, ToonDoo, or other graphic that shows one of the projects above. Make a radio show, podcast, or song about the elements (see options above.) Narrate, subtitle, or text page to show this week's concepts. Make a poster, play, song or cartoon showing your understanding of the elements in its many forms. When light strikes an object, the light can be reflected, transmitted, or absorbed. Objects can be transparent, translucent, or opaque. We see most things because of the colors that are absorbed or reflected off of them. The rose reflects red and absorbs blue and green. When a ray of light hits a surface it bounces off at an equal and opposite angle. Law of reflection states that the angle of reﬂection is equal to the angle of incidence. In regular reflections, parallel rays reflect in parallel, giving a clear image. The technology of using lenses and mirrors to magnify images by bending light. A focal point is where light rays meet at a point and an object may come into focus. Its location is given as a distance from the center of a lens or mirror. A mirror is an object that reflects light.It can be shaped to change the size of an image.It comes in three basic shapes. concave: curved in towards the middle, they have a focal point and can create several different size and position images. convex: curved outwards from the middle, They create a smaller image 'behind' the mirror. The curve of a mirror bends light by changing the angle it hits the surface of the mirror. Index of refraction: Light travels at different speeds in different mediums. When a wave enters a medium at an angle, one side of the wave changes speed before the other side, causing the wave to bend or refract. This is how lenses work. A lens is a shaped object that bends light. In can change the size of an image. The shape of the lens controls the angle at which the light hits. Lenses comes in two basic shapes. concave: curved in towards the middle, they have a focal point behind the lens and can create a smaller image. convex: curved outwards from the middle, they have a focal point in front of the lens and can create two types of images, upside-down enlarged and . Eyeglasses and contact lenses focus images on the back of the eye. Edwin Hubble (1889-1953 of Wheaton, Illinois) Used observations with light telescopes to confirm the existence of galaxies in an expanding universe.. The Hubble space telescope was named in his honor. It uses a large mirror. 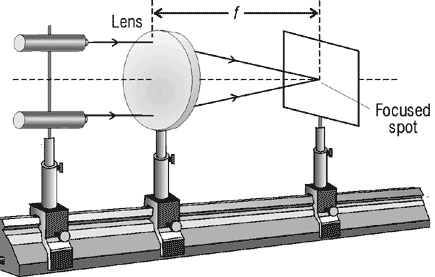 Reflecting telescopes (invented by Sir Isaac Newton ca 1668) use concave mirrors to focus animage into a lens. Refracting telescopes (first used for astronomy by Galileo Galilei in 1609) use lenses to magnify distant images.The first western telescopes appeared around 1600 in the Netherlands.